Hittmeier Design is an independent design firm specializing in completely custom residences. Our projects are each unique according to our clients needs and style preferences. Each building is designed with the greatest consideration for the site to achieve a harmonious, balanced environment. From design and visualization to permitting and construction supervision, we do it all. We'll help you achieve your dream. At Greaves Construction, your premier home remodeling company in the Tampa and Hillsborough County areas, we believe EVERY home should be a source of comfort, pride and pleasure to its owner. We also appreciate the seriousness of hiring a contractor. It’s a major decision. After all, you’re talking about spending a lot of money, temporarily disrupting your lifestyle, and making lots of important decisions you’ll have to live with for a long time. It sounds scary, doesn’t it? Well, it doesn’t have to be that way. After 30 years of remodeling, we’ve learned that with the right remodeling Contractor, the process can be exciting, rewarding and yes, even fun! We hope the information you find on our site is helpful, and if you think we might be the right Contractor for you, please contact us. We’d love to add you to our list of customers who are glad they found Greaves Construction. Living in the same house with the same décor can become tiresome. You may be sitting in your living room one day and realize that you are bored of the aesthetic of the room. Or you may be cooking in your kitchen one day and find that the stove is dated and that you could use an island to chop your vegetables more efficiently. With these things on your mind, you should be looking for a home remodeling company in the Tampa or Temple Terrace areas that can help you give your house a fresh, new look. Greaves Construction is a company that looks forward to working with you and to bring comfort and pride back into your home. David Balber, managing principal of Balber Architecture, Inc., is a multi-award-winning, nationally-accredited architect bringing over 20 years of experience in the field of architecture. Along with his trusted consultants he brings over 90 years of combined experience. Mr. Balber’s work has been featured on CNN Evening News, radio, and in countless publications. David’s clients include: owners, developers, builders, other architects, and companies. Balber Architecture not only holds design aesthetics to a high standard, but cost savings as well. Value-engineering projects in the early schematic design phase typically will save thousands if not tens of thousands of dollars for our clients. Communication is key. We pride ourselves on being very accessible to all of our clients. David will guide you personally through every step of the architectural process including but not limited to: architecture, interior design, civil engineering, MEP (Mechanical/Electrical/Plumbing), structural engineering, LEED (Leadership in Energy and Environmental Design) analysis, and BIM (Building Information Technology). We are registered though the National Council of Architectural Registration Boards (NCARB), members of the American Institute of Architects (AIA), Members of the United States Green Building Council (USGBC), and an Approved Energy Star Business. If you have any questions or would like to set up a free consultation, please contact Mr. Balber directly at: db@davidbalber.com or via phone at: (813) 690-6134. We appreciate your appreciation! Design Styles Architecture is an award winning architecture firm located in Tampa, Florida. We are a group of experienced architects, designers and visualization specialists, who possess an extraordinary depth of expertise in the design of high-end luxury homes and commercial projects. Passionately committed to a holistic design process incorporating time tested design principles, continuously evolving design theories, environmental sustainable practices and the latest technologies available, we continually strive to make our work responsive to the needs of our clients while enriching the lives of the people and communities it serves. We embrace the diversity of the projects we acquire and equally match it with a diverse talented group of individuals. We have organized our firm around project-specific teams carefully assembled to address the specific needs and circumstances of each project. To ensure continuity of approach, consistently high quality and continued development of innovative design, project teams are supported by extensive research, design and technical specialists. "If a picture is worth a thousand words then a model is worth a thousand pictures." MOD.el is an architectural practice serving the building needs of individual homeowners and construction professionals. Our mission is to design and develop model living environments. To this end, MOD.el’s purpose is to increase the well being and quality of life of our clients. Aspen Venture Group is an exclusive group of professionals who focus on developing unique, notable projects in the Tampa Bay area in Florida. Aspen VG values each individual account to create urban infill developments that stand apart from the rest. The group is responsible for the development of large-scale, planned residential projects with a focus on urban infill communities. They include such well-known names as Toscana, The Seybold, Legacy Park, City Lofts South, and Escena South Tampa. Aspen VG is also responsible for individual infill residences throughout the region, including luxury single-family homes, upscale condominiums and townhomes. Commitment to quality work, significant relationships and everlasting sustainability are only a few reasons Aspen VG takes pride in “doing it right." 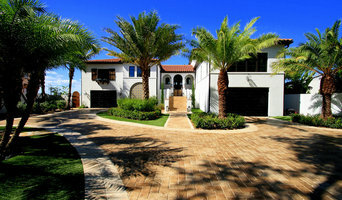 Sample Properties has been designing and building custom homes in the Tampa Bay area for 30 years. Our experience and expertise allows us to have a close partnership with our clients, resulting in the transformation from dreams to dream homes. Our commitment to exceptional quality and craftsmanship, and our attention to detail is evident in each project we undertake. Our uncompromising customer service is only part of the reason that Sample Properties is widely considered one of the premier custom home builders in the Tampa Bay area. Tampa Bay's Design-Build Specialist - 6x Best of Houzz Winner! ROJO Architecture specializes in all design oriented commercial and residential projects. We accept all types of residential projects from small remodels and renovations to new ground up custom homes. We enjoy the one on one process of working on unique solutions for peoples various lifestyles. With our focus on customer service, we strive to make each design personal and meaningful to our clients. Besides the architecture and interior design, our team of 10 architects and designers can assist with finding qualified contractors, furniture selection and placement, textures and fabrics, custom furniture, as well as custom installations.Our services typically involve from the beginning of the project through the conclusion. We love many styles of architecture and have worked within most of those styles. 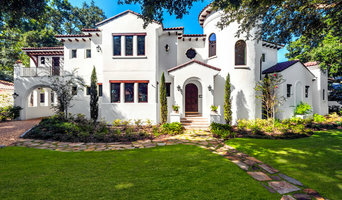 We have worked in the Tuscan, modern, Italianate, Mediterranean, arts & crafts, mission, farmhouse, and Mexican modern. The goal of any good design is to be true to the style, bringing creative and functional aspects to each. We charge hourly for our services while doing residential work. Though the years, this has proved to be the fairest method for providing quality service. This protects you, our client, as you are only paying for our time that you use. If you decide to perform the interiors yourself, we can be used just as a “outside opinion”. As an estimate: depending on how much of our service you use to develop the interior design, our fee can range anywhere from 3-10% of the cost of construction. Most of our custom residences have been done in the 6-8% range. We also believe in bringing the sustainability to the structure. It is important, not just for our use of natural materials. that we provide materials to your home that is both beautiful and functional. It is also important that we reduce our carbon footprint in all the work we perform. 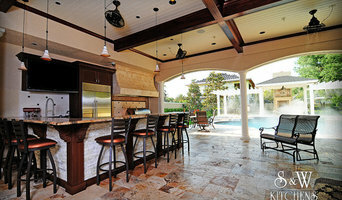 Tampa's Custom Home Builder & Remodeler - 4x Best of Houzz! Pasquale Design is celebrating more than 25 years providing Interior Design services to Tampa Bay's elite clientele and beyond. Our award winning projects have set the bar for creativity and quality craftsmanship. Creating beautiful interior designs that are custom tailored to each clients personal lifestyle and needs. We combine extensive training, knowledge through experience, and an innate creative talent to produce stunning award winning interiors that are magazine ready. If you’re building a new home or remodeling, we are the team that will guide you from initial planning through decoration and installation. We can provide architectural services and connect you with a great builder. Our involvement along the way will ensure a successful project. Our extensive experience and access to unlimited resources allow us to guide you through the process of design and decoration with ease. What can be an otherwise daunting task will be effortless and fun. We’ve done the research and can point you towards the best product for your money. Our clients will have access to resources you thought you had to travel to find. Our knowledge can only be achieved through years of procuring, training and educational research. We work with every client to develop budgets and manage scheduling to meet goals. Our builders are always excited to work with design professionals who are knowledgeable and speak their language of construction. We welcome the opportunity to host you in our design studio and discuss your project and goals. Our clients are our best advocates and we will be happy to provide you with excellent references. Pasquale is about making personal connections and delivering the finest quality and customer experiences. We believe that great design should feel effortless and the process enjoyable along the way. As an industry leader for 25 years, Artisan Design specializes in providing superior quality cabinetry and award-winning interior designs. Our 5,000 square foot showroom includes full sized kitchen and bath displays as well as flooring, tile, countertop, furniture and home decor. Artisan Design's team of professionals offer their vast experience in creating custom-designed rooms that work for your lifestyle. The connection we make with each client is unique, and that relationship forms the basis from which our creativity flows. We brings a superior level of expertise to assist you in designing luxury kitchens, baths and custom cabinetry throughout your home - including outdoor kitchens. We focus on timeless designs and use a wide variety of quality products. A Florida licensed general contracting firm located in South Tampa, Ramos Design Build (RDB) offers a turn-key approach for both commercial and residential projects from ground up / new construction, renovations, additions and restoration projects. RDB also offers a full service cabinetry and fine wood working operation. The firm has won numerous awards and has completed many successful projects in the Tampa Bay area. Home building isn’t just a tradition in the Ramos family; it’s a legacy. Since 1956, the Ramos family has been part of thousands of successful commercial and residential construction projects in the southeast U.S. The founder of Ramos Design Build Corporation, James Ramos (CGC 1522125) is preserving his family’s legacy with the full-service general contracting firm he started in 2007. Innovative, current and a cut above the rest, these have always been our company's standards. Given today's fast-paced society, an experienced design, drafting and management specialist is absolutely vital in the success of your project. We have built our reputation on these standards, and will continue to provide our clients with unparalleled planning and construction efficiency. KDS Interiors focuses on Luxury Interior Design for both commercial and residential spaces. A Sports and Entertainment Division has recently been established focusing on the complete interior design packages/relocation assistance for professional athletes and those in the entertainment industry. VIRTUAL DESIGNS Walk Through Your New or Remodeled Home Before It’s Built Tampa Bay, FL April 13, 2015– E-Building Concepts LLC will be turning the construction industry on its head with the launch of Virtual Designs, a new service that all but eliminates the #1 problem when it comes to building or remodeling…….and that is inadequate communication. Studies show that most people are visual, yet when it comes to building a new home, which can be the biggest investment of our lives, we are asked to look at a rendering or blueprint and imagine what it would look like in the real world….well no more. From the architect to the engineer to the home owner, everyone in the design process can view all stages of the project in the virtual world to better communicate how the project will and should ultimately look. E-Building Concepts specializes in 3D Modeling, Construction Estimating, 3D Printing, and 3D Model Virtual Reality (VR) tours and now 3D Modeled and Printed Homes. Let us help you turn your wish into reality.